Our universe is almost 50 trillion years old and came into existence as an idea of the Creator. 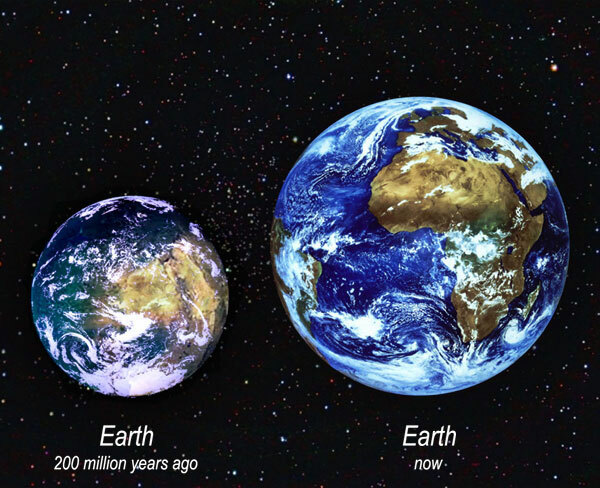 The Earth is more than 600 billion years old. Most of that time it existed in a gas phase, that lasted until about 70 billion years ago. At that point, the Earth slowly but surely took shape. We ourselves call our planet "Earth", but in the universe it is better known by the name "Terra" or "Gaia". A long time ago, the name "Shan" was more common. The first alien visitors landed on our planet more than a billion years ago; that was a group of reptilians. Since then there has been a lot of coming and going. The present world civilization is the third that has ever existed. The first one was called Hyperborea, or Hybornea. Not much is known about it, but if we are to believe the channeler and contactee Sheldan Nidle in his book "Your First Contact" (1), this was a society of intelligent groups of reptile like beings, dinosaurs and whale like creatures. The latter looked quite different from what they do now, becaue they lived on land and "were completely covered with hair, had long snouts and ears and were about 1.50 to 1.65 meters tall". These three groups lived together peacefully for millions of years (2) until this was disrupted by malevolent visitors from the Orion constellation. This ended in a nuclear war eight million years ago. We know much more about the second civilization, that consisted of Atlantis and Lemuria (or Mu). Numerous books have been written about it and many people can remember a lot about this period from memories of their past lives. These were technologically and spiritually advanced civilizations, much higher than our own. Lemuria was established by alien beings on a group of islands in the Pacific Ocean. Atlantis, in the Atlantic Ocean, sprang forth later. Both civilizations were in contact with alien nations and lived for hundreds of thousands of years in peace alongside each other. At the end of the last 26,000 year cycle, Atlantis and Lemuria came into conflict with each other and Lemuria was destroyed by Atlantis. Atlantis itself perished at the end of the last 11,500 year cycle because they were too careless with technological experiments such as creating lasers. In a period of unprecedented natural disasters, a rift in the Earth’s crust and a tipping of the Earth’s axis, this world empire was swallowed up by the sea. Many Lemurians and Atlanteans fled underground during these turbulent periods and their descendants still live there today. Just like most of the other planets and moons, Earth is hollow on the inside. The Earth’s crust is about 700 miles thick and gravity lies in that crust. There are several corridors that lead from the outside to the inside. At both poles there are also large holes in the crust. The crust is like Swiss cheese. In most places, but not everywhere, you will find magma. There are caves and chasms hundreds of meters long. On the inside of the globe and in about 120 underground cities a civilization called Agartha exists, which is much higher than our own. The areas without magma are used to connect the satellite cities with the 'interior'. Most of the cities have a completely independent functioning eco system. When the Earth had just taken on her solid form, she was much smaller than she is now. Under the influence of the centrifugal force – our equator spins at over 1,000 mph – the planet has grown significantly over the years. She is still growing a couple of inches a year. 200 million years ago she was only a quarter of her present circumference, and the force of gravity was much less. That's why dinosaurs were able to develop into enormous monsters sometimes weighing 80 tons. With the current force of gravity they would undoubtedly suffer physical ailments, such as broken bones, heart failure etc. 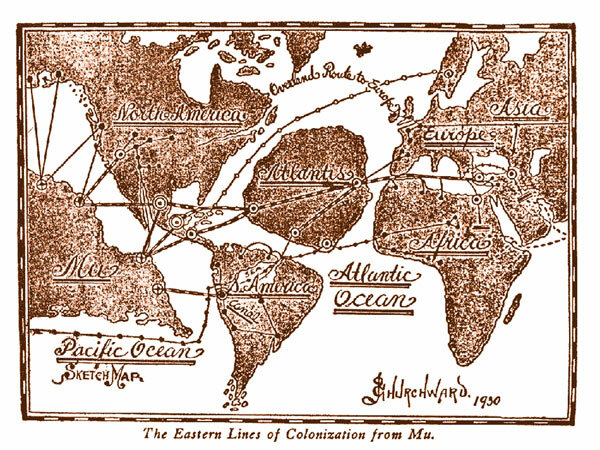 At that time all the continents were connected and covered the entire Earth. Large areas of the Earth that are now land, were then covered by shallow seas. This is the reason why fossils of sea animals have been found in the oddest places, such as the inlands of America. Because Earth was growing, the continents were torn apart and large areas dried out. The separation of the continents was not brought about by mysterious forces that randomly shuffled the tectonic plates, as the followers of the "Pangea" model claim. Those scientists are still baffled by the fact that the ocean floor is only tens of millions of years old in some places, while the plates of the solid land are billions of years old. The explanation for this is that the growth of the Earth takes place along the faultlines on the ocean floor, that run roughly vertically over the planet. Another misconception still alive in science today is the existence of the Ice Ages. Periods of thousands of years in which the Earth supposedly cooled off. The given explanation is that "Earth's orbit temporarily moved farther away from the sun." This shows, however, that one doesn't understand the bonds of gravity. 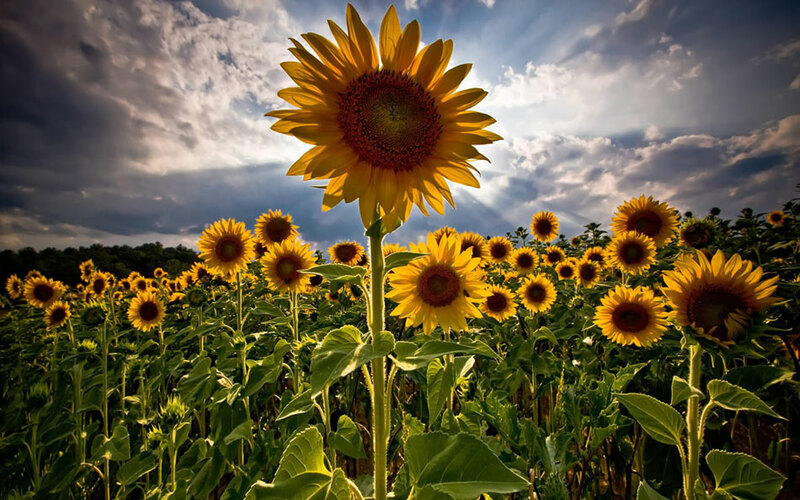 Sun's radiation has an attractive as well as a repulsive effect to keep Earth firmly in its place. Also, one never found any evidence to this effect. Obviously there have been major temperature fluctuations in the past. But apart from catastrophes, like volcano eruptions and meteorite impacts, which temporarily distracted sunlight away from Earth and made her cool down, temperatures were never down everywhere. Some spots would have been colder, other spots would have been warmer than today. The explanation for this lies in the tilting of the Earth's axis, which causes polar shifts. Although Earth's axis seems reasonably stable (apart from the precession- or "waddling") its position was different in the past. Reason why was the passing of planet Niburu, or Nibiru/Planet X. 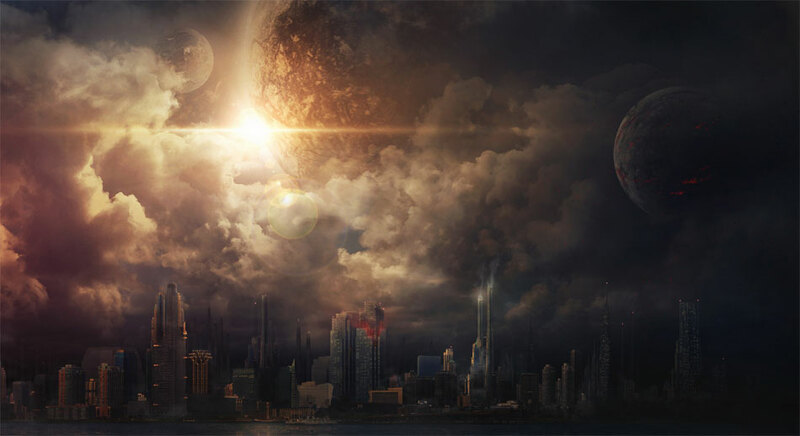 This planet is inhabited by Anunnaki: half-human, half-reptile aliens who have had an enormous influence on the history of mankind. Niburu has an orbit of more than 3600 years. This orbit leads around our sun and the brown dwarf. Together they form a binary system (3). Brown dwarf's gravitation is also responsible for the odd orbits of the outer planets in our solar system. Niburu has a very dense atmosphere and produces heat, so life is possible even away from the sun. When Niburu passes our sun, it affects the electromagnetic fields of the other planets in such a way that their axes often change position (4). This doesn't happen every time, it all depends on their position towards our sun. When you look at all the planet's axes it looks like a tumbled mess which holds no logic at all. For instance, Mercury's axis is almost vertical wile the axis of Uranus is almost horizontal. The last time our Earth's axis went through significant change was not caused by Niburu, however, but by fatal physical experiments by leaders from Atlantis. This disaster made the North Pole shift from North Scandinavia to East Siberia. That's why Europe, up until then mostly covered with ice, suddenly got a temperate climate and the ice mass melted. The speed at which this happened came as a total surprise to life in North Asia and North America. Temperatures dropped radically, mammoths froze where they stood. We can still find a "zone of death" where thousands of mammoths, woolly rhinos and other animals lay frozen in ice. Researchers couldn't explain the undigested parts of plants in their stomach. Those plants normally only grew in temperate climates. Icy regions in North Asia and North America harbor packs of mammoths still standing, frozen, surprised by sudden death. The movement of water due to the tilting of the axis gives a whole new meaning to the word "tsunami". Oceans were displaced and thrown onto land. That's why we find parts of sealife, shells and whalebones, all over America. Sometimes even in the mountains. The mass of ice in the old South Pole was carried and partly dropped on the Antarctic Continent. This land used to be about where Australia is now, so it had a much warmer climate. The sudden invasion of ice completely wiped out the existing civilization. Old maps, like the Piri Reis map (5), show the Antarctic coastline the way it used to be, before the ice came. This had a huge impact on world-wide water levels. While the South Pole literally had landed, less sea water got frozen. 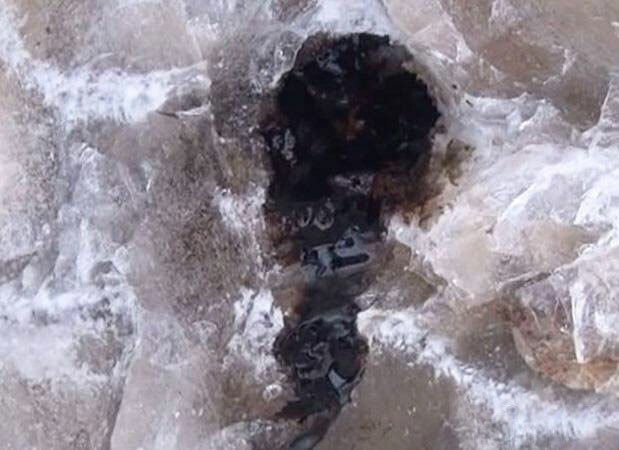 Much of the old pole ice started to melt. The rise in water levels forced people living by the sea to move away. All over the world, from India to Egypt (6) we find remnants of flourishing civilizations meters below the coastal lines (7). The North Sea, up until then mostly dry, filled up as well. After this huge shift of Earth's axis, approximately 11.500 years ago, there were a few minor shifts due to Niburu, but never again this powerful. The North Pole ended up being more of a sea than during the last "ice age," therefore more water got frozen. But as the temperatures at the South Pole are tens of degrees (celsius) lower than at the North Pole, changes in both masses of ice didn't even out. Water levels remained high world-wide. 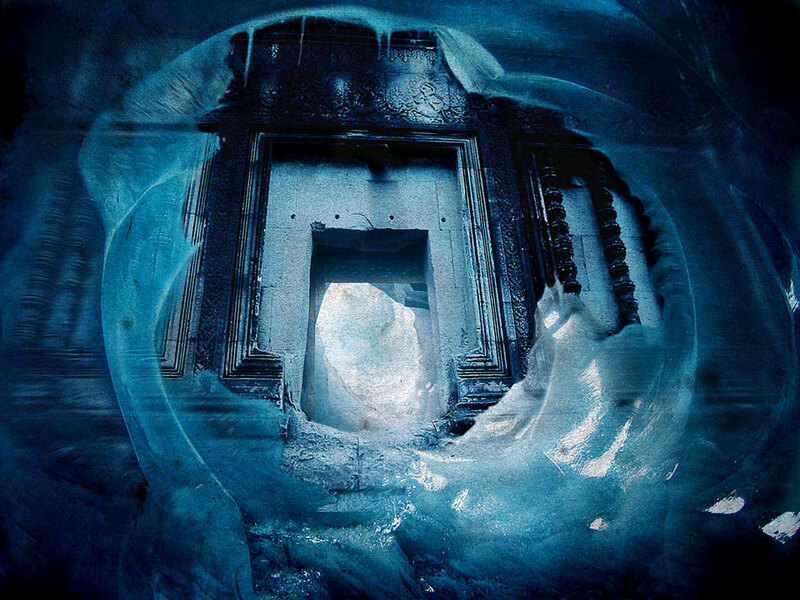 Underneath Antarctic's ice mass remnants of an old civilization are still found. Picture from "The Orion Conspiracy"
Our Moon is artificial and hollow, and has a metal construction on the inside. There are ruins (8) and pyramides on it, and many underground bases. These lie mainly on the dark side of the moon. A long time ago the Earth had two natural moons. 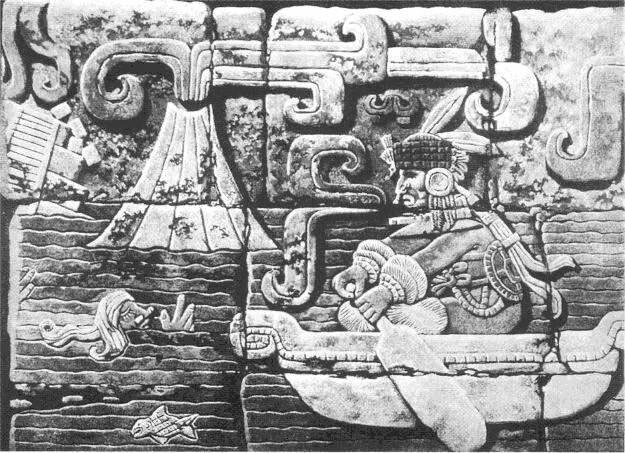 One was destroyed during the attack by Atlantis on Lemuria. 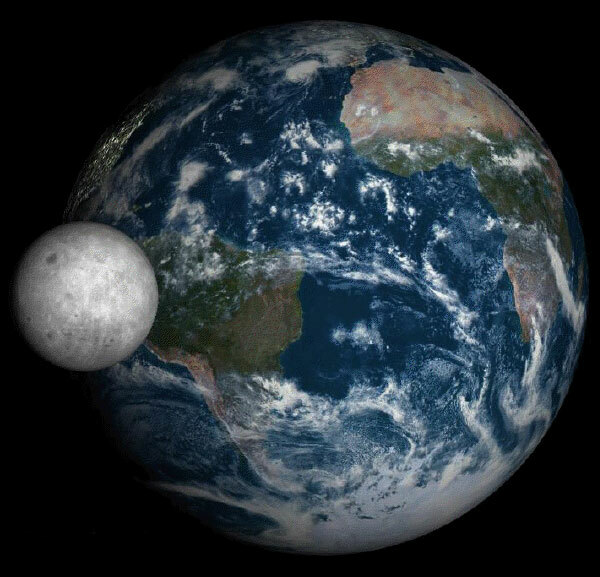 Aliens replaced the other moon with our present moon, which used to be in another solar system. 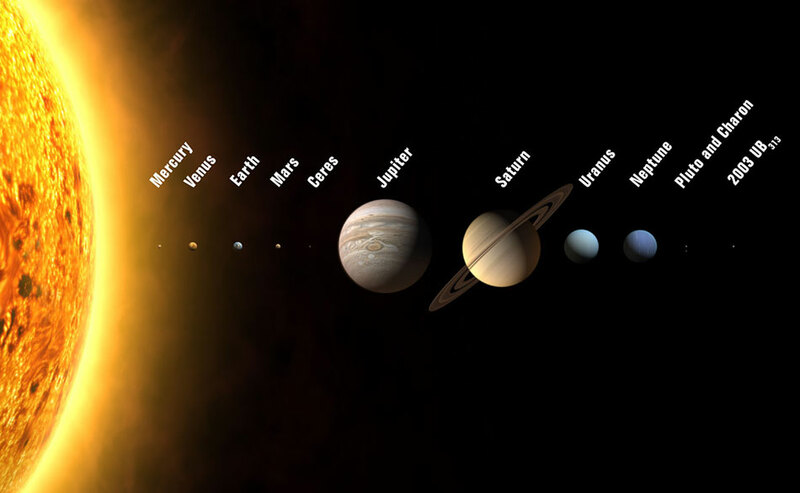 As a nice touch the moon, that is 400 times smaller than the sun, was placed at a distance from the Earth that is 400 times smaller than that from the Sun. In this way, both heavenly bodies look the same size to us, and from time to time we can enjoy something as beautiful as an eclipse of the sun with a corona. The belief that the moon revolves around the Earth and the Earth revolves around the sun, is not quite right, because the sun is not stationary. It travels at great speed through space, and we travel with it. Thus, the planets and moons move in a cylindrical motion through space. The moon is a colorful world (9) and has a light atmosphere. There is water and ice. Grass and other small plants, such as a type of potato, grow there. Photos of the moon that are publicized by NASA, are consistently tampered with to remove any trace of color or life. And so the public continues to believe that the moon is a dusty, lifeless world. Our Earth is one of the most beautiful planets that exists. In the universe she is sometimes called "God's Showcase". The variety of landscapes and life forms that we have here, is unknown anywhere else in the universe. There are plenty of planets with mountains, oceans, deserts or jungles, but not many who have all of those. That is why our planet has historically been involved in many galactic wars and was regarded as a trophy. That open battle, with spaceships of light and dark chasing each other high in our skies like a scene from "Star Wars", was a long time ago. Now, galactic peace prevails, although this has never officially been signed. Both camps were just worn out from the millions of years of constant war, that cost countless lives and that never produced a clear winner. The present day world civilization is a unique case in the universe, because in the age of pisces our planet was destined to be a planet where souls could experience the phenomenon of 'duality' (good and bad in one society). That is conducive to the soul's spiritual growth. To create the maximum feeling of separation from each other and the rest of the universe, Earth was put into quarantine. This meant that the members of the Galactic Federation were not allowed to have any contact with us, and may only monitor us from a distance. Because negative alien races often break the Universal Laws, they did visit Earth, with all the consequences that brought about. But this actually fits the duality scenario quite well, and so the Galactic Federation turned a blind eye. Only if the negative races threatened to disrupt the balance of life on Earth too much, for example if they had plans to exterminate humanity on a large scale by means of viruses or nuclear wars, intervention took place. Also if their human pawns wanted to travel outside our solar system, it was not tolerated. The population that evolved in these isolated circumstances, is regarded with a mixture of astonishment and incomprehension by the civilizations that are observing us. On the one hand we appear to be loving and able to create beautiful things, like all manner of artists and craftsmen have shown. On the other hand, we are at times extremely cruel and careless, even against our own kind and the planet that is home to us. We are the only civilization where such a thing as money exists and has been given so much power, where science does not take God and alien life seriously, and where free energy has still not penetrated into civil society. This latter is actually not our fault, because many inventors who wanted to introduce revolutionary ideas for the benefit of mankind, were silenced by the illuminati. Take Nikola Tesla who, at the beginning of the last century, developed several perfectly functioning zero point energy devices, but was stopped. Earth became known as the "prison planet" where souls from all over the universe came to solve their negative karma (or not, because they don't always succeed). This is the situation until this cycle is completed, and that is now almost the case. Just like with a lot of fauna, a lot of flora on this planet is the result of alien visits from a distant past. What most people do not realize, especially in the West, is that Earth herself is a living being. A highly developed being, that knows exactly what is happening on, in and around her. According to Matthew Ward, the spirit of a deceased boy who communicates with his mother from the heavens, the soul of Gaia has always remained in the fifth dimension (11). But the negativity here on Earth led her body to end up deep in the third dimension during this cycle. This will also come to an end soon, because with the Ascension the body and soul of Mother Earth will be reunited.